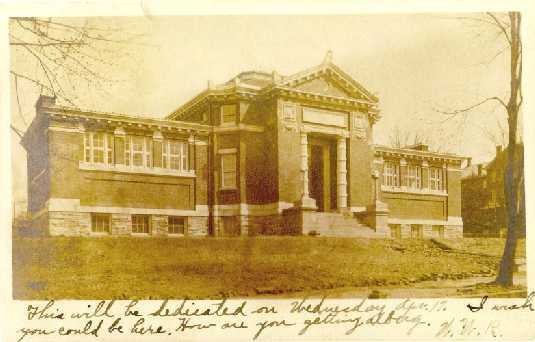 Carnegie Hall was dedicated as Carnegie Library on April 17, 1907. It now houses the Juniata College Museum of Art. Carnegie Hall was built in 1907 as the college library through funds provided by Andrew Carnegie and the citizens of Huntingdon. Designed by New York architect Edward Tilton, it reflects turn-of-the-century library planning. It includes a grand entrance stairway, a domed rotunda, and three separate wings that originally functioned as reading rooms and open stacks. The entire structure retains its original grandeur and elegance. In particular, the rotunda, dome, and Tiffany-style stained-glass oculus create an impressive central space. In 1998, the acquisition of the Worth B. Stottlemyer Collection led to the formation of the Juniata College Museum of Art. 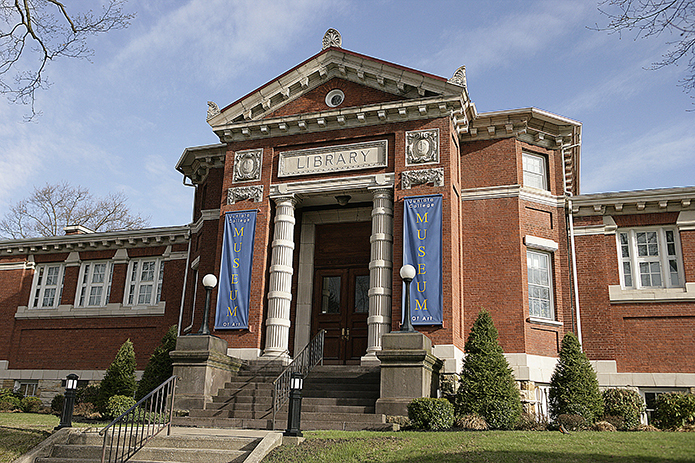 Through funds provided by Edwin A. and Susan Rabinowitz Malloy, Carnegie Hall was fully renovated as the Juniata College Museum of Art. The Museum is currently in the planning stages for renovations to improve its collection storage facility for greater visibility and access for the campus and local communities.